Pascal Ackermann takes second and hence the lead in the points classification of the Tour of Guangxi. 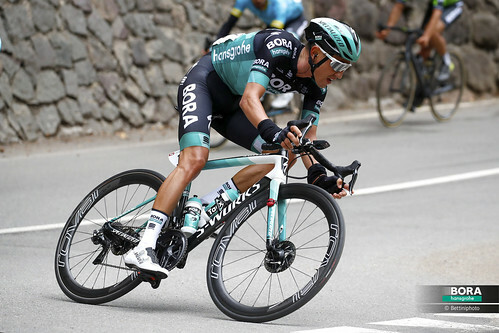 The penultimate stage covered more than 200km from Liuzhou to Guilin with four categorized climbs and two intermediate sprints. 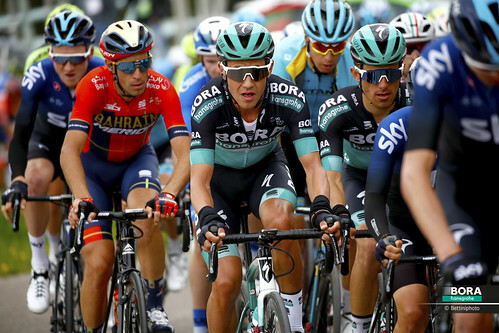 It was again a fast start as four riders built the breakaway of the day with a maximum gap of more than four minutes. 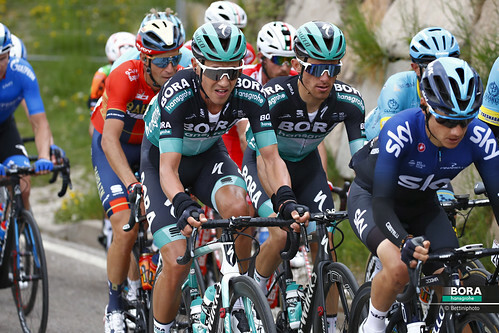 The stage was earmarked for the fast wheels in the peloton, therefore BORA – hansgrohe focused on their sprinter Pascal Ackermann and stayed together in the main bunch, taking control over the pace. As expected the final climb caused some drama as the race split apart and with 20km to go there was a regrouping at the head of the peloton. 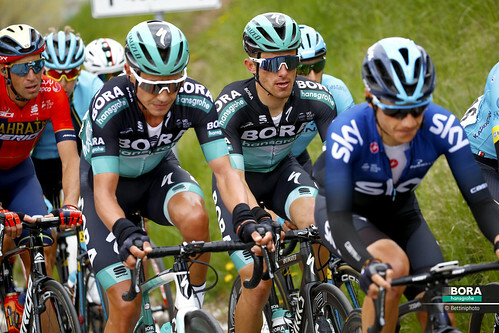 BORA – hansgrohe was in the first group and led the reduced bunch into the finale. 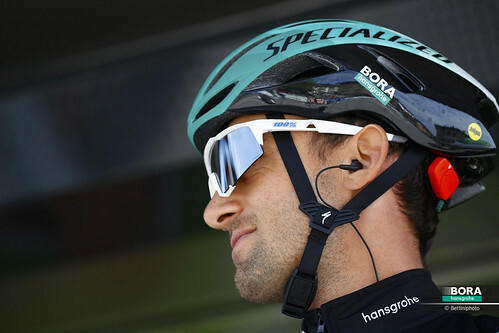 The German squad started their lead-out for their sprinter Pascal Ackermann but 300m before the finish, a crash in the bunch catered for more excitement and the viewers saw a chaotic finale. It was M. Trentin, who took the stage win on the line ahead of Pascal Ackermann. Following his second place Ackermann now leads the points classification, teammate Felix Großschartner was able to defend his second place in the overall ranking.